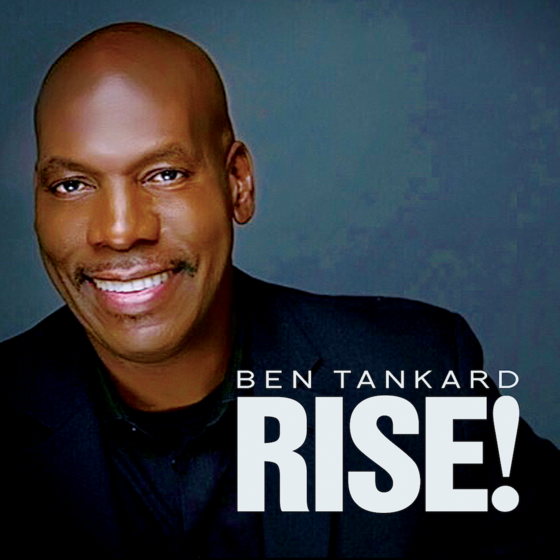 Gospel Jazz Pianist Ben Tankard Releases New Album “RISE!” | LISTEN To New Single “It’s Working” Feat Kirk Whalum! Nashville, TN — Your favorite Renaissance Man is Back! Gold and Platinum selling Gospel/Jazz Pianist, bestselling author, reality TV star, private pilot and pastor, Ben Tankard has been thrilling us with Gospel/Jazz for nearly three decades. His new album RISE! promises to be some of his best work yet! “I am super excited about this record because I was able to instrumentally remake three time-honored classics that have been true to my heart for years,” says Tankard. Other classics songs on the album include the Gospel hit “It’s Working” (by William Murphy) featuring Kirk Whalum, and a favorite by The legendary Williams Brothers “I’m Still Here“, which marks Tankard’s first recording of a quartet song. The former NBA basketball player, affectionately known as The “godfather” of Gospel Jazz, was recently inducted into the Stellar Awards Honors Hall of Fame at the 2018 Stellar Awards Ceremony in March. Tankard’s honor by The Stellar Awards exemplifies his lifetime of achievements in the Gospel Music industry as an artist, musician and producer. Tankard is taking flight to criss-cross the country on his RISE! Album Tour from now until the end of the year. In addition, his reality TV show, The Tankards, will be back for another season in 2019. RISE! is available now in all digital outlets and is in Walmart Stores.